Arriving in Ottawa in 1845 with three other Grey Nuns, Mère Bruyère immediately began to establish schools, hospitals and other institutions to aid the disadvantaged. 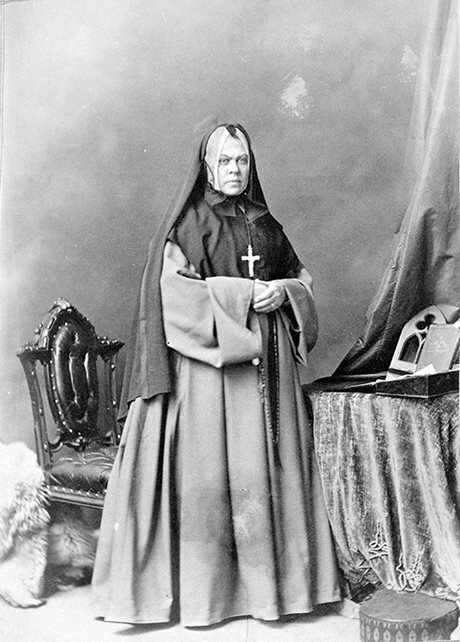 By the time of her death, the Sisters of Charity of Ottawa had extended their services to other parts of Canada and to the United States. Visit the plaque – In front of the Chapel of the Sisters of Charity, 25 Bruyère Street, at Sussex Drive, Ottawa.